My true love gave me the idea to take the next 12 days and turn them into a series of eco friendly Christmas tips. So in keeping with the song, I don’t have a partridge or a pear tree but I am thinking of the Christmas trees today. I think of myself as a “natural” person. Whenever I can, I try to use natural products. So naturally, I love real Christmas trees. For years we found a local place to go and cut a tree. They were usually tree farms that were growing the trees just for that purpose. John and I would go and get the tree and enjoyed the smell of cutting it ourselves, tying it in the truck and bringing it home. Then a few years ago, Herb was trying to put some holiday spirit into the schools, because they aren’t really allowed to celebrate Christmas, and he had the idea to ask for donations of old artificial trees to put throughout the school so have the kids decorate them in the Standards of Learning (SOLs). He got about 8 trees donated from people that were updated their worn out trees or wanted a different style. The project was only the one year and we inherited the trees. A couple of them were really nice trees and a couple were pretty nasty (and are still out in our building). That is when I started putting up an artificial tree. A recycled tree, of sorts. (They haven’t made it to the landfill yet.) I usually go out into my neighborhood and gather pine, boxwood, pinecones, holly and evergreens and cut them and place them on the branches so that the tree has natural items that smell wonderful and gives the tree a completely different look. So lets look at the facts a little closer. For those with a real Christmas tree, try an organic potted tree from your local nursery that can be replanted after the holidays. A single tree can absorb more than one ton of CO2 over its lifetime, so imagine the impact if we all replanted our trees! My yard is too small to allow for many years of real trees being planted in it so that isn’t an option for me but if you have a large yard and have the space to allow for a full grown pine tree, by all means, plant away. Go to a local tree farm and cut your own tree. This is much better than getting one that has travelled from North Carolina or some far away place. The less miles your tree has travelled the better. If you have a cut tree, be sure to look into local recycling options. Our county landfill will definitely take your tree. Read an article from last year in the NV Daily or you can use the tree after Christmas to put in the garden so the birds have cover and then, in the spring, add it to your compost bin. Many municipalities and some organizations collect the trees to use for mulch and erosion control. This is much better than having your tree end up in a sealed landfill. Decorate naturally. Head out to your yard and find tree branches, bush stems loaded with berries, flowers whose seed heads have dried on the stem and flowering grasses to fill tall vases or baskets. It’s more sustainable than buying a plant or flower that may be flown in from South America. You can also create a natural tablescape with natural elements or fresh fruit like pomegranates, pears, and apples. 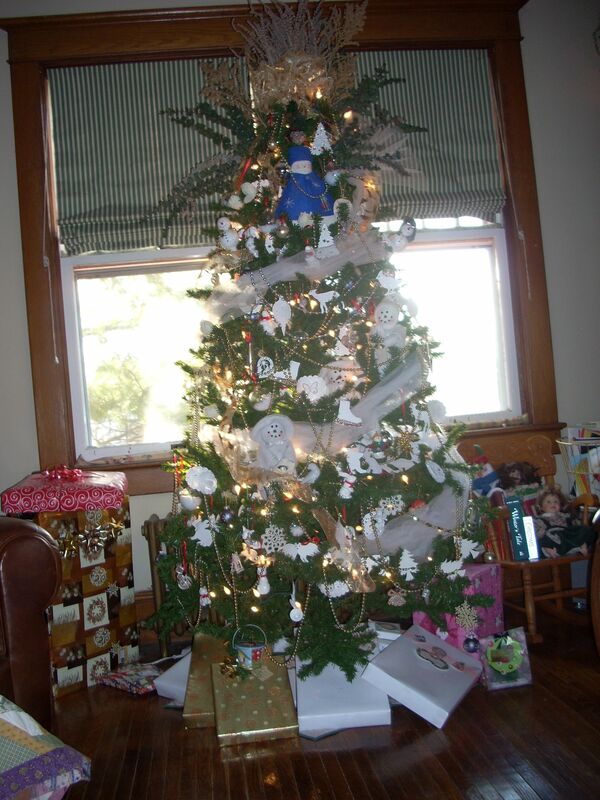 For years, many considered the purchase of an artificial tree to be the environmentally friendly choice. However, most artificial trees are made from mainly non-renewable plastics, often containing PVC. They are non-recyclable and non-biodegradable. According to the site Science 2.0 artificial trees are manufactured using a polyvinyl chloride (or PVC), which is a petroleum-derived plastic. The raw material for fake Christmas trees is both non-renewable and polluting. Furthermore, PVC production results in the unhealthy emission of a number of carcinogens, such as dioxin, ethylene dichloride and vinyl chloride. Make recycled holiday ornaments from natural materials in the yard or material you find around the house. Not the crafty type? Many stores now offer ornaments made of recycled materials for sale. Another simple option is to string popcorn and cranberries or use hardened gingerbread cookies. Old cards make some wonderful ornaments too. The past few years my tree has had a snowy winter theme and I have paper ornaments. 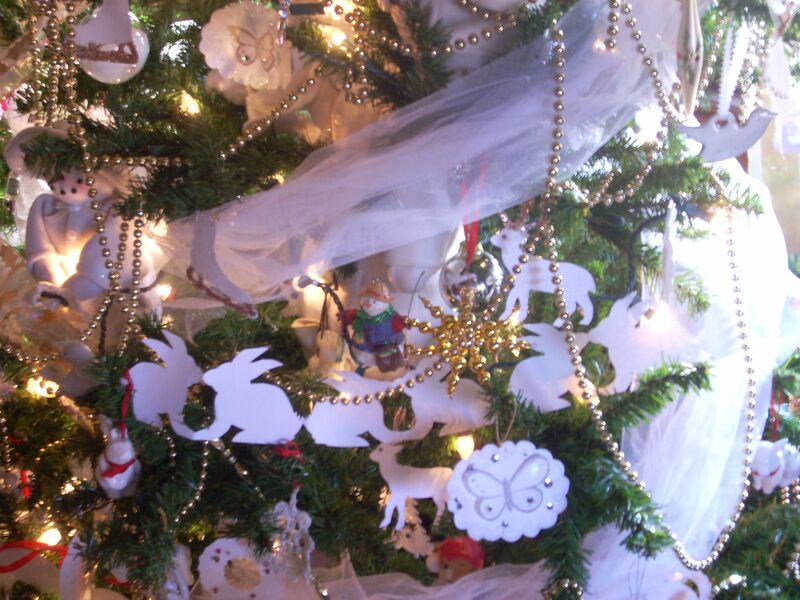 Martha Stewart has some beautifully easy paper ornaments that make up quickly to give you a tree full of ornaments. So, as you are decorating for the holidays, consider what impact you are having on the environment. Spend some time reading this article and getting the facts. I have chosen to use a recycled artificial tree if for no other reason than to keep it out of the landfill. I believe that live trees are definitely the best choice by far but I have inherited these trees and choose to use them for now. At least until I can take the holidays to travel and not deal with decorating. That is, of course another topic altogether. 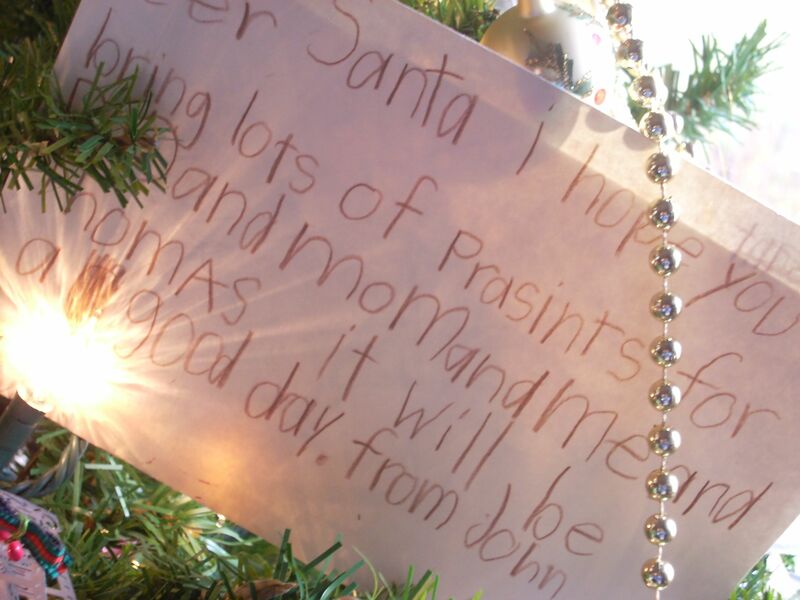 Susie Morgan Wilburn • This entry was posted in Christmas, composting, Family, Green Ideas, Healthy Living, Holidays, recycle It, recycled items and tagged Artificial Christmas tree, Christmas, Christmas tree, Horticulture, Martha Stewart, Polyvinyl chloride, Real tree, Tree. Bookmark the permalink. On the first day of Christmas, my true love took down the rest of the Halloween decorations! Thanks, Dan. I’ll check into it.